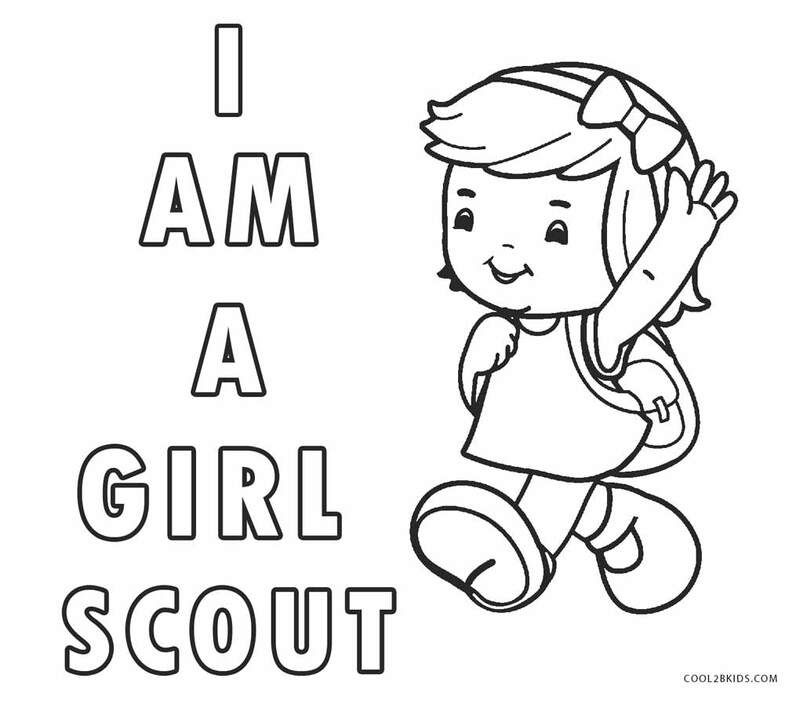 Girls Scouts are the torchbearers of freedom, strength and empowerment of the girl child. 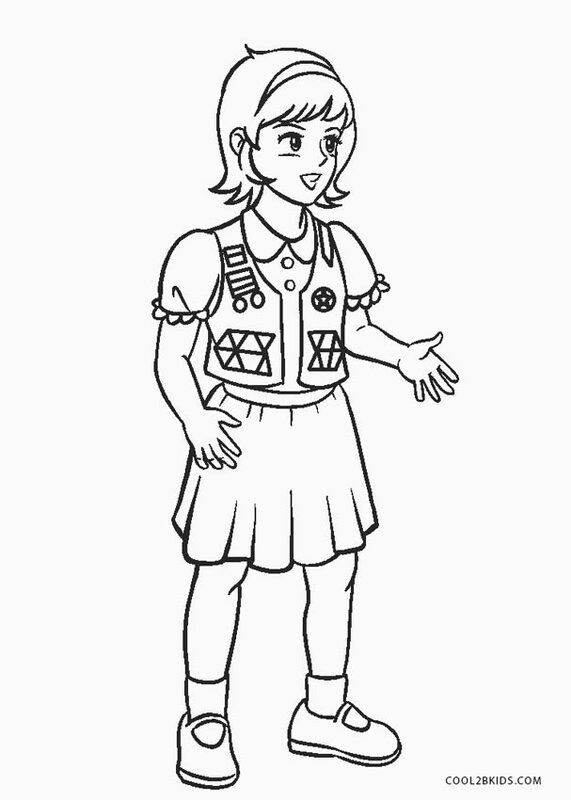 They are armed with practical knowledge of completing difficult tasks. 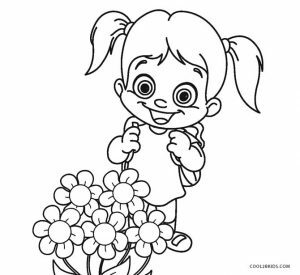 They are competitive and are always in the quest for learning new things. 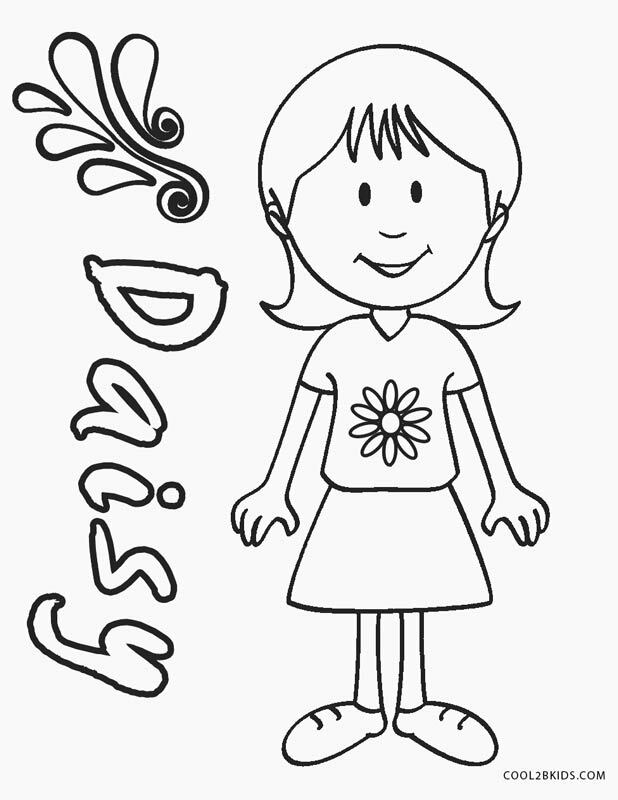 They are also passionate about community service, outdoor activities, etc. 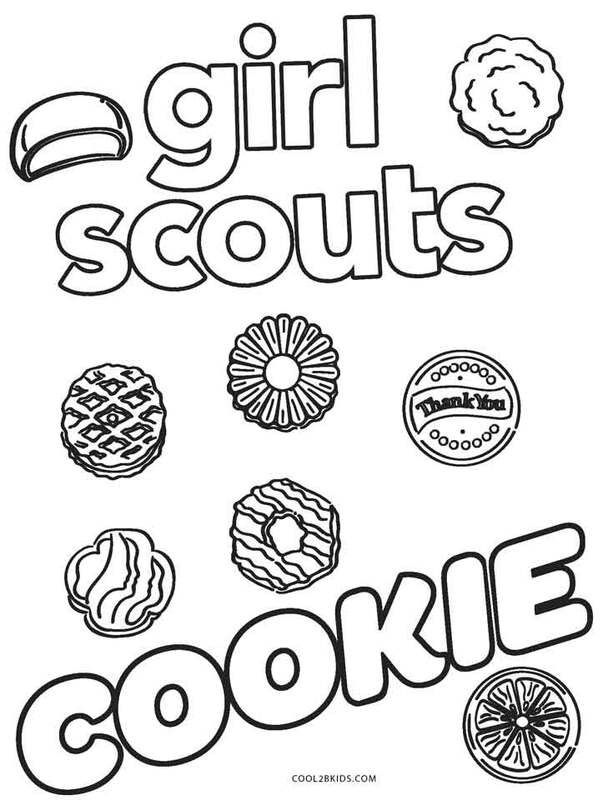 The Girl Scout Cookies are a unique product to help them in their path. 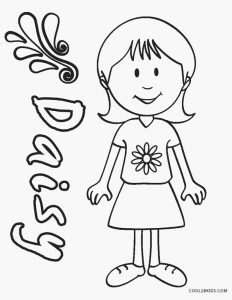 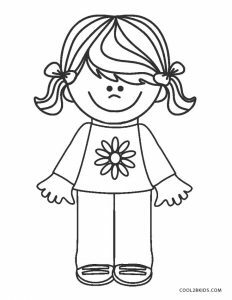 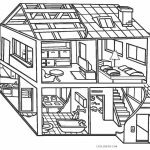 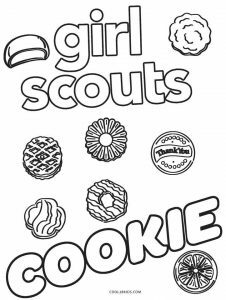 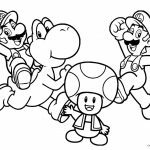 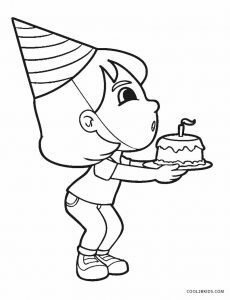 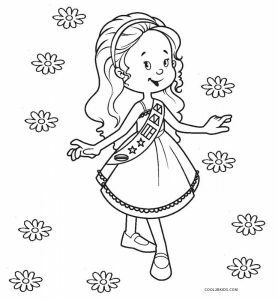 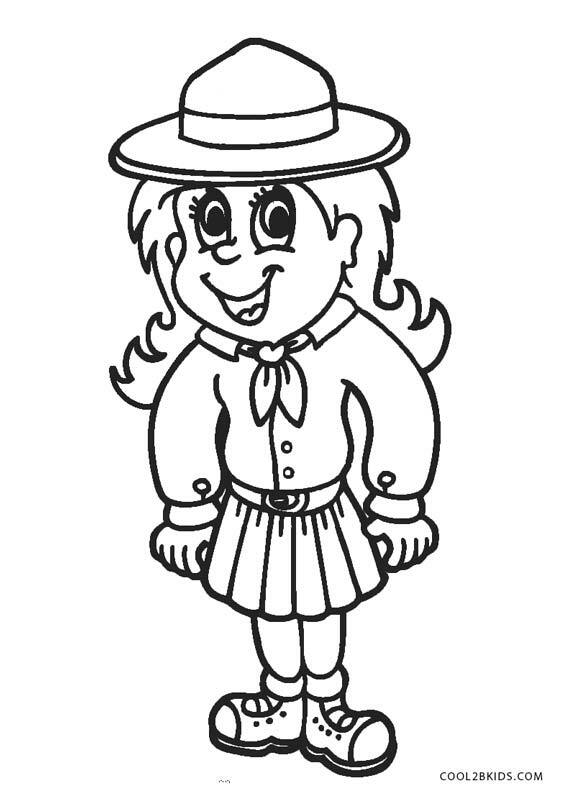 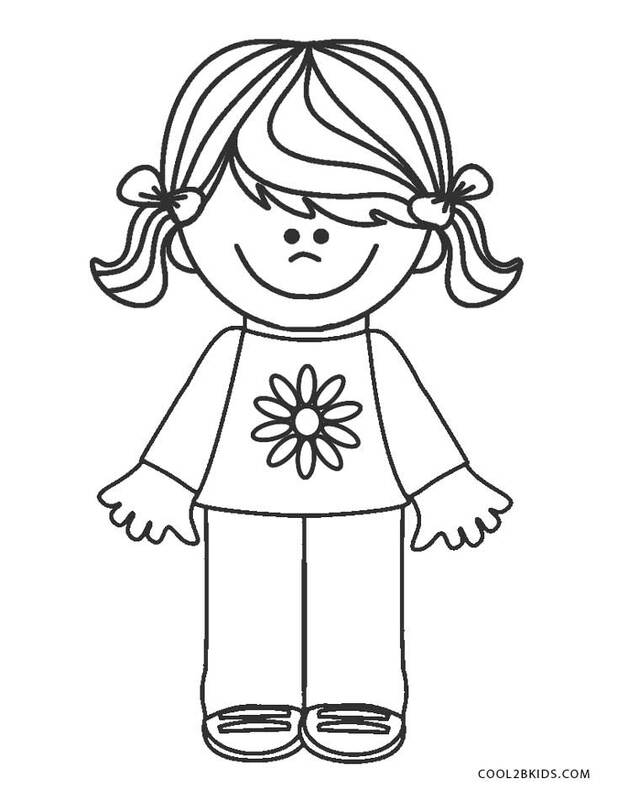 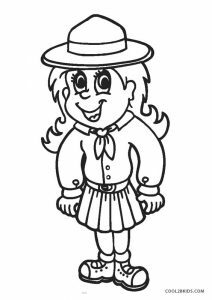 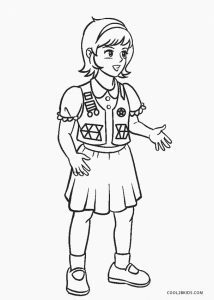 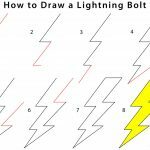 In the following free and printable coloring pages, you can find little Girl Scouts doing all sorts of activities. 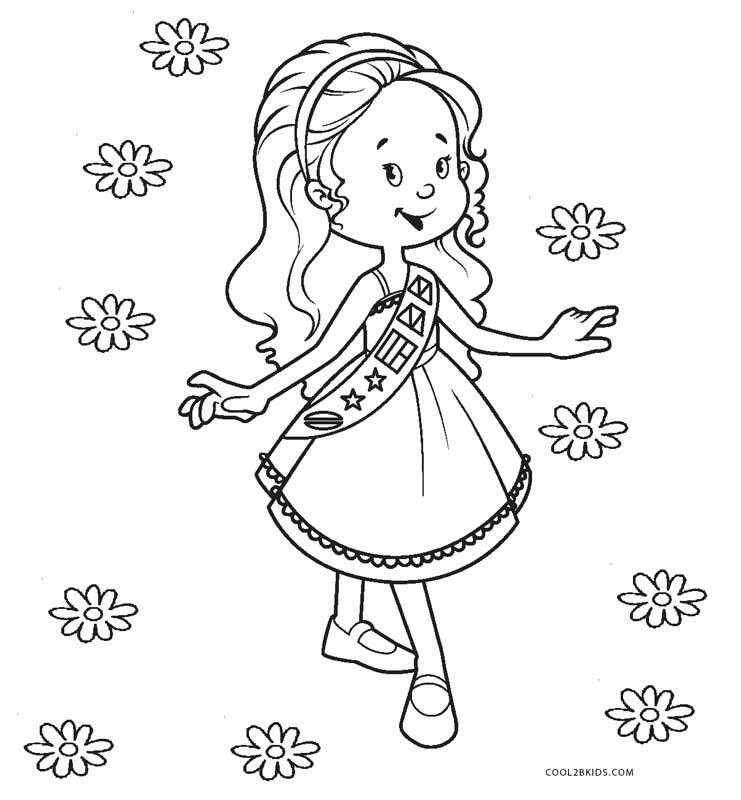 They can be seen adoring the sights of nature, winning competitions, designing cakes, etc. 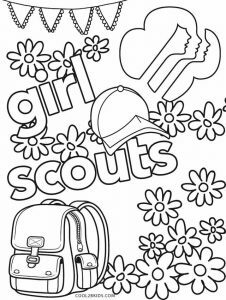 One of the pages is beautifully decorated with flowers, a bag, a cap and the Girl Scouts logo in honor of the brave females. 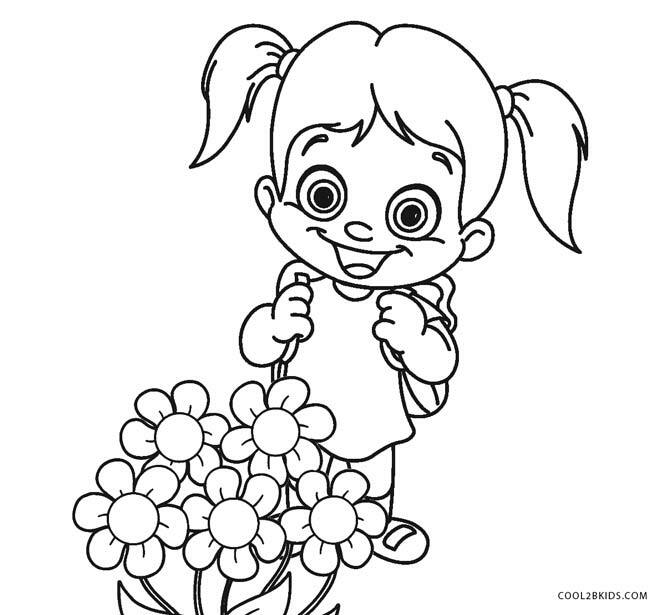 You can play with the brightest of shades for completing the pages. 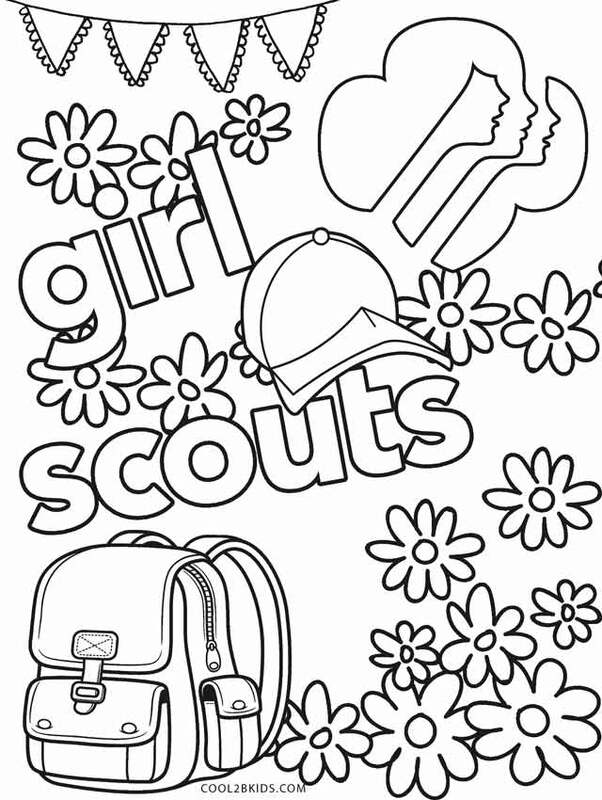 Little girls who aspire to be Girl Scouts would have a wonderful time doing this painting activity. 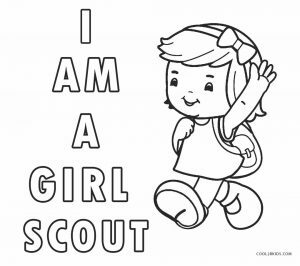 Way to go, girls!